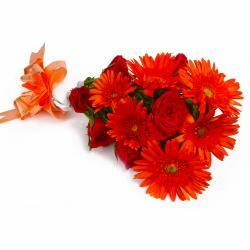 Product Consist : 12 Stem of Mix Flowers like Orange Gerberas and Red Roses in Cellophane Wrapping with Ribbon Bow on it. 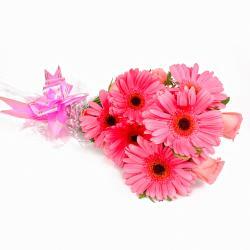 Seldom have gift combos come in as pleasing avatars as this one. 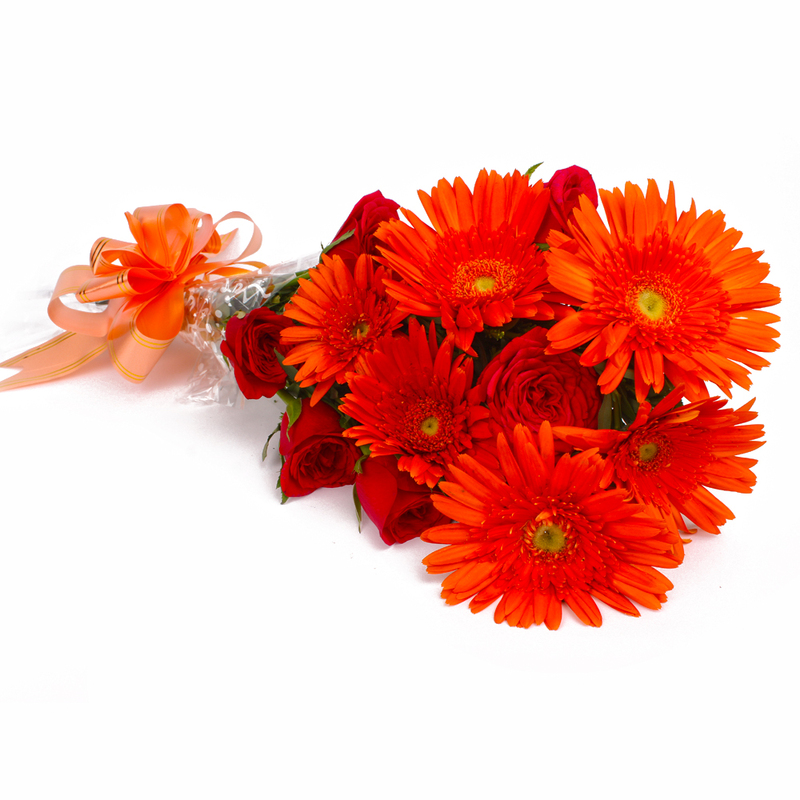 The combo consists of a bunch of dozen stem of mix orange gerberas and red roses which have a soothing effect on the senses. It has been delightfully packed in cellophane with a matching ribbon bow on top for company. 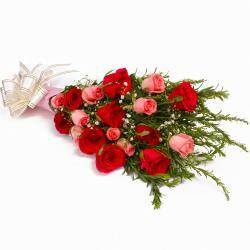 This combo should definitely be a fabulous acquisition for occasions like Birthday, Anniversary, Best of Luck, Durga Puja, Womens Day, Diwali and even Valentines Day. 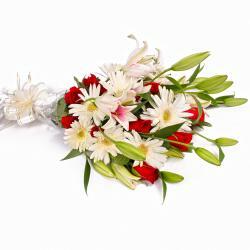 Every recipient will love this elegant, soothing and heartwarming gift combo without a shred of doubt. 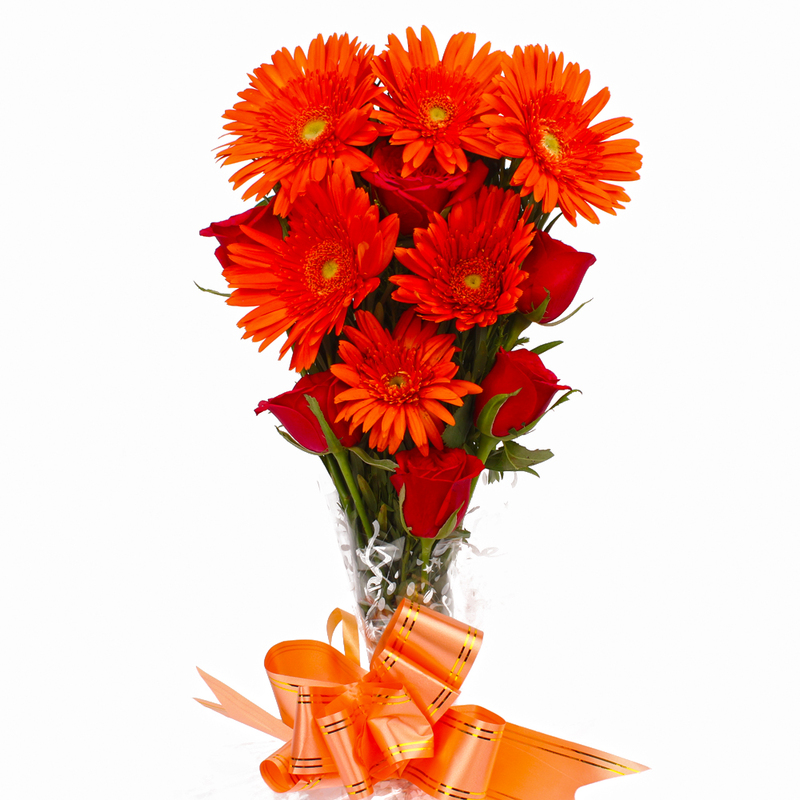 Product contains : Twelve Stem of Mix Flowers like Orange Gerberas and Red Roses in Cellophane Wrapping with Ribbon Bow on it.